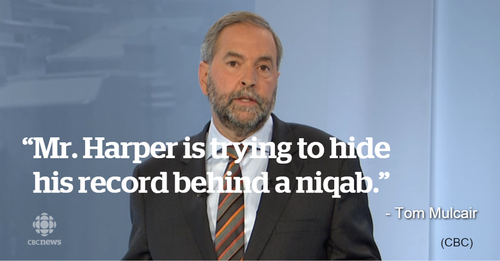 Mulcair: says it's only Harper who is pushing this. I see the BLOC jump on this band wagon. I want us to unite. 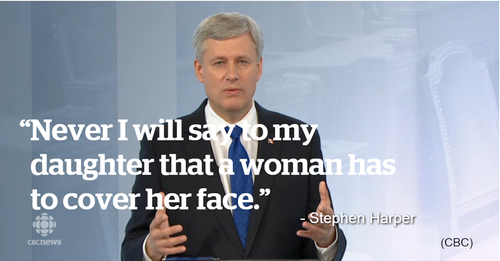 Harper: our position is that when we join Cdn family we should not hide our identity. Duceppe: are we going to say the niqab is distracting people? Now, tax havens. Less emotion I'm guessing. And back to the economy. May says the economy is weak and needs investments. Then pretty much describes some of the Liberal plan. Harper: the opp plans are about tax increases: payroll taxes etc. The set is nice right? Mulcair: says he wants to be a champion for the manufacturing sector. I think I briefly spaced out there. May: you have sold our sovereignty to China. 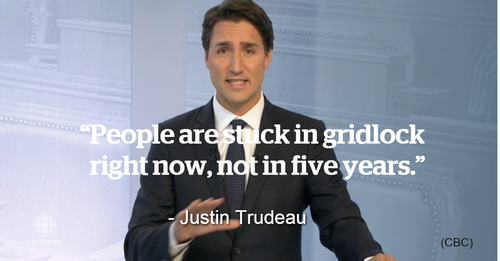 Trudeau: govts and others saying we have to balance the budget at all costs. And we have an economy not working. Trudeau: I'm the only one to offer an investment plan. Mulcair: Trudeau coming back with old formulas done by previous Lib govts. I dealt with that as provincial minsiter. Trudeau: a new subway is not a debt Mr. Mulcair. What happened to Duceppe? Hello? What else are you doing other than developing oil harper is asked. 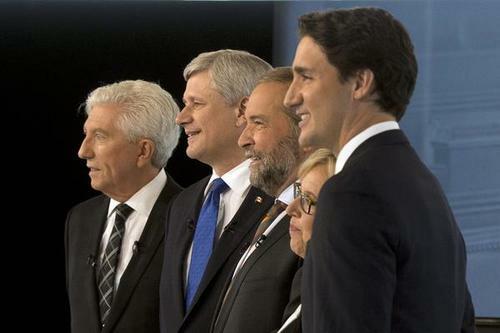 Mulcair: we'll work with all sectors and maintain a stable economy. Trudeau: hey we're gonna cancel F35s. 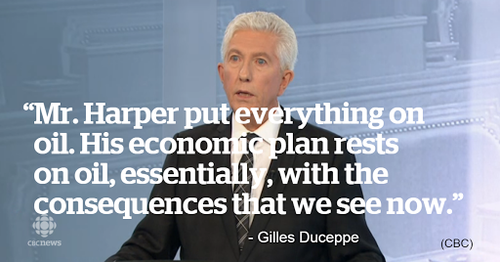 Duceppe says Harper based his economic plan on oil with the consquences we have now. Harper: manufacturing sector against increase in corporate taxes. 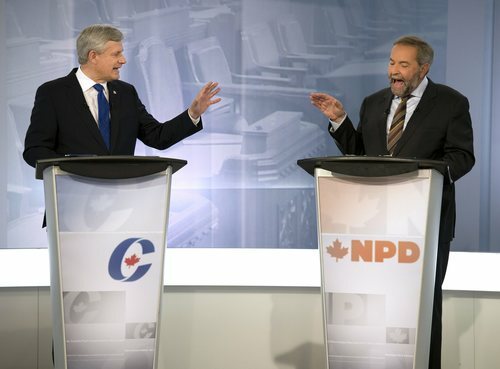 Tom Mulcair and Stephen Harper are squaring off on the economy. Harper says the NDP record at the provincial level is a "disaster." May: says C51 is the most dangerous law in Canada. makes Canada less safe. 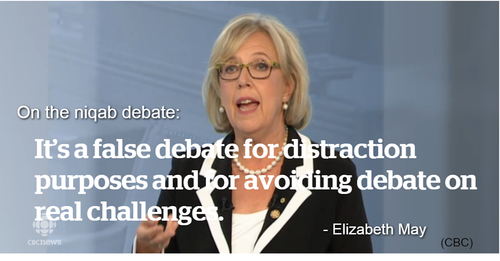 Now May going after Harper on his record on climate change.